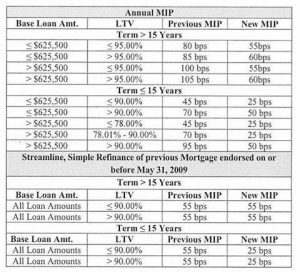 HUD recently announced a reduction to FHA’s monthly mortgage insurance premiums (MIP) This is the monthly costs added to home buyers mortgage payments most know as “PMI” The FHA is reducing its annual mortgage insurance premium by 25 basis points for most new loans with a closing date on or after Jan. 27, 2017. The lower mortgage insurance rates are projected to save new FHA-insured homebuyers an average of $500 this year. 1/23/2017 UPDATE: Please note the Trump administration announced the plan to reduce FHA MIP costs have been suspended indefinitely. Please revert back to the old rate chart listed on the FHA loan page. 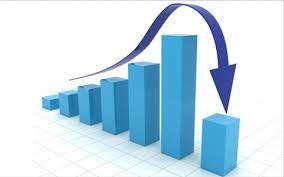 The HUD secretary said “consumers are facing higher credit costs as mortgage interest rates increase. After four straight years of growth and with sufficient reserves on hand to meet future claims, it’s time for FHA to pass along some modest savings to working families,” said HUD. Borrowers will find the latest 2017 FHA Mortgage Insurance Premium chart below. The average home buyer securing a $175,000 mortgage with only a 3.5% down payment, will pay around $420.00 less per year when compared to 2016. This is especially good for first time buyers purchasing on a limited budget. This will not only help new home buyers utilizing an FHA mortgage in 2017, but will also help existing home owners looking to refinance their FHA loan save money as well. Learn more about all the FHA loan options here. If you have questions, please contact us at ph: 800-871-2636 or just submit the Request Contact form found on this page.